Did you get off the Sloane Square tube station and make your way down to Kings Road or are you shopping at Duke of York Square? 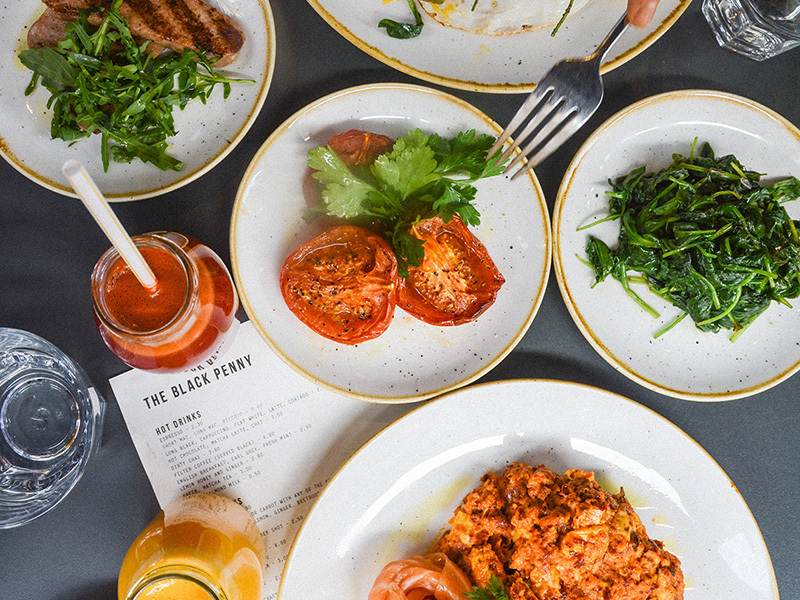 Why not stop for a delicious all day brunch/lunch at The Black Penny? You can add a glass of Prosecco to your meal for just a penny for a limited time! Yes, you've heard it right! Dine in for lunch at The Black Penny, 55 Duke of York Square, Chelsea, SW3 4LY and get a glass of Prosecco to accompany your meal only for one penny. The Black Penny has a fantastic all day breakfast/brunch menu to suit every taste. Meat lovers can enjoy a selection of meat options from smoked bacon, sausages, salt beef, chicken, confit duck and salmon or if you prefer a meat-free vegetarian option make sure to try Wild Mushroom and Polenta Hash, Ozdemir Pasha, The Gatherer or The Forager. Each meal prepared in store by The Black Penny chefs with using fresh ingredients. The Black Penny also offer a daily fresh salad bar with a choice of Protein selection (Chicken or Salmon) to its diners. Come and visit The Black Penny this lunchtime and enjoy a glass of Prosecco for one penny with your meal. 1. This offer is valid between until Friday, 31st May. 2. This promotion is only valid between Monday - Friday. 3. Available for customers aged 18 or over. 5. Day time menu items included Breakfast Classics, Black Penny Hashes, Fresh Salad with or without Protein, and Sandwiches. 6. Sourdough Toast, Eggs How You Like 'Em, and any sides on their own are excluded from this promotion. 7. A customer can order a glass of Prosecco when dining with one of the above selections. First glass of Prosecco will cost one penny. Any additional drinks will be charged at the standard price. 8. The promotional glass of Prosecco is served on 125 ml glass and only available one per person, per visit at the promotional price. 9. Customers who wish to choose wine instead of Prosecco are welcome to choose from one of the below options. The Black Penny - Sloane Square at Duke of York Square now offering a fantastic evening dine in options to its visitors. If you are finishing your day of shopping or leaving work, or you want to have a delicious dinner at a cosy place, look no further. 2 Course meal is only £16.50, add a dessert for just £2.50 plus add a glass of Prosecco for only a penny! Newly opened The Black Penny - Sloane Square has a limited time offer to introduce its new evening menu. Diners will be able to enjoy a starter and a main dish for only £16.50. Why not add a glass of Prosecco for just a penny! If you are like us and cannot finish your meal without a sweet touch, then add a dessert to your meal for only £2.50. Diners can select their starter from any of the snacks, dips or small plates. Mains can be chosen from any large plates. This offer is available throughout the week including the weekends, so come on and dine in with our fantastic evening menu. 4. The two-course set menu is available for £16.50 per customer. 6. Day time menu items included Breakfast Classics, Black Penny Hashes, Fresh Salad with or without Protein, and Sandwiches. 7. 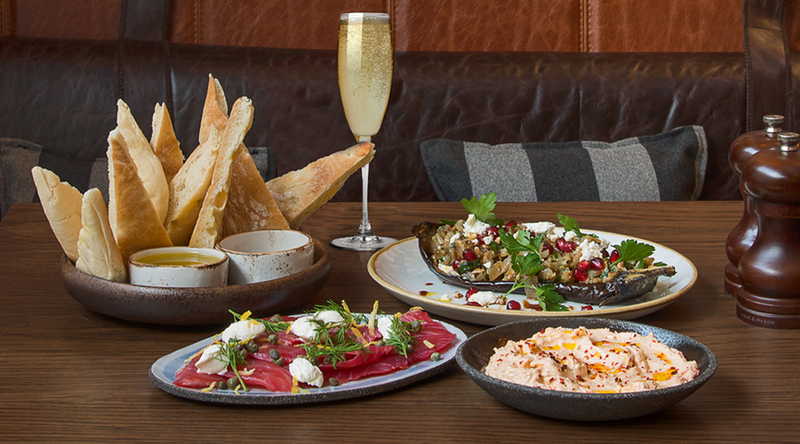 A customer can order their starter from any of the items from Snacks, Dips, Small Plates sections or if there are a minimum of two people at the table, they can share a Meze Board as their starter. The mains can be selected from any Large Plates. 8. If a customer wants to add a 3rd course to their meal, they can do this so by paying an extra £2.50. This option includes any cake or tray bake. 9. A customer can order a glass of Prosecco when dining with one of the above selections. First glass of Prosecco will cost one penny. Any additional drinks will be charged at the standard price. 10. The promotional glass of Prosecco is served on 125 ml glass and only available one per person, per visit at the promotional price. 11. Customers who wish to choose wine instead of Prosecco are welcome to choose from one of the below options. Celebrate Valentine's Day at The Black Penny with our all-day breakfast/brunch menu. Enjoy a glass of Prosecco with your meal for just a penny! If you would like to dine in the evening then our Duke of York Square, Chelsea branch offers a fantastic evening dining menu, and you can still take advantage of our glass of Prosecco for a penny offer! 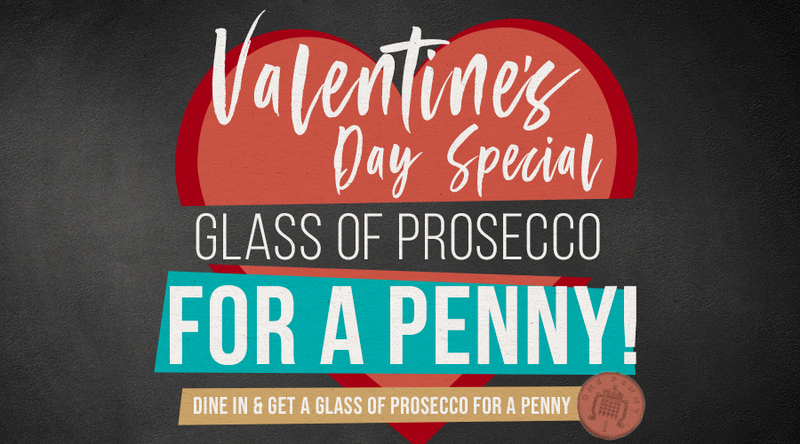 The Black Penny is offering its visitors a glass of Prosecco for only a penny to celebrate Valentine's Day when they dine in at one of their branches between 8th - 17th February 2019. Simply choose from the Valentine's Day menu provided in store and ask your waiter for the promotional Prosecco. The Black Penny Prosecco is served in a 125ml glass and its one of the most popular drinks! It is a great drink to accompany your meal. 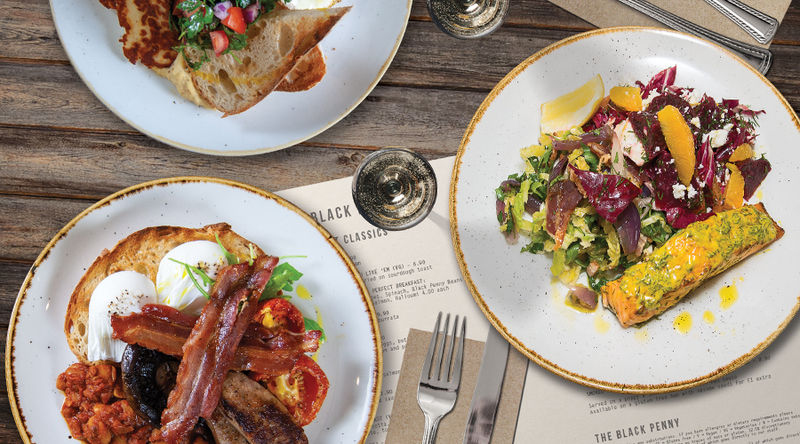 Visitors can enjoy The Black Penny’s famous classics such as Ozdemir Pasha, Green Eggs and Duck Hash with a glass of Prosecco that costs just one penny. Be quick though as this offer is only available between 8th-17th February. You can book a table by contacting the specific store you wish to visit if your party has 6 or more people. The Black Penny wishes a Happy Valentine's Day to everyone, and we look forward to celebrating this day with you. 1. This offer is valid between Friday, 8th February until Sunday, 17th February. 2. Customers must dine in at one of The Black Penny locations. 5. Sourdough Toast, Eggs How You Like 'Em, and any sides on their own are excluded from this promotion. 7. A customer can order from one of the selected evening menu items: Any large plate or Meze Board. 9. A customer can order a glass of Prosecco when dining with one of the above selections. First glass of Prosecco will cost one penny. 10. Any additional drinks will be charged at the standard price. 11. The promotional glass of Prosecco is served on 125 ml glass and only available one per person, per visit at the promotional price. 12. 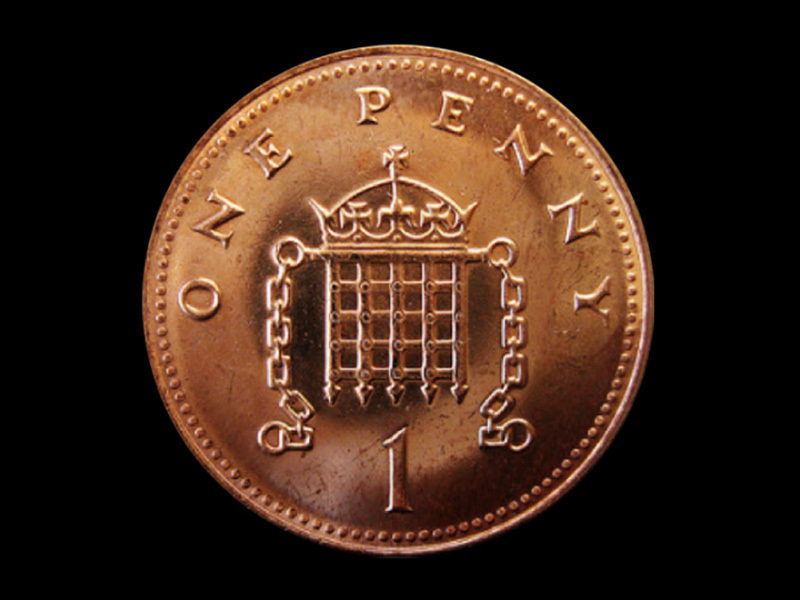 The Black Penny reserves the right of amending, extending or completely stopping this promotion at any time on their discretion. Enjoy a free brunch with a bottle of Prosecco at The Black Penny when you join our weekly social media competition. Each week, we are running a competition where our followers on social media can tag their friends, like and follow our page and share the competition post for a chance to win a free brunch on us. We will randomly select one person each week to enjoy a free brunch at one of our locations. Yes, you've heard it right. You can win a free brunch with a bottle of Prosecco! Rules are simple; Make sure you follow/like our pages on social media platforms such as Instagram, Facebook and Twitter. Tag your friends on the competition post each week, share the post and you are in the draw. Do it from all 3 social media channels and get 3 entries. We will contact each week's winner via the direct message of social media platform they've entered/win the competition. They will have 48 hours to confirm they are happy to claim the prize from the time of the first communication. Once the winner of the week confirms their acceptance of the competition, he/she will have 7 (seven) days to claim the prize. He/she must respond to our message with the branch they'd like to visit, and date and time preferences. We will then make sure the store are aware of your visit and be waiting for your arrival. 1. The promoter of this competition is The Black Penny coffee house and kitchen who are registered under Coffee & Jam ltd.
2. This competition is available for anyone can visit one of The Black Penny branches during their prize claim period. 3. You must be at least 18 years old or older to be able to enter this competition. 5. By entering this competition, an entrant is an indication his/her agreement to be bound by these terms and conditions. 6. Entrant must follow/like the social media page/s of The Black Penny where you are participating in the competition. 7. Entrant then must like the competition post and tag his/her friend/s in the post, followed by sharing the post on his/her social media account. 8. Closing date for entry will be the midnight of every Sunday until the competition expires. 9. The prize of this competition is "brunch" meal for 2 (two) person where they can choose 1 (one) dish from the menu which includes (Breakfast Classics, Oats, Buns, Black Penny Hashes and Daily Salad Bar if available) plus 1 (one) bottle of Prosecco to share. 10. If the winner of the competition's guest is under the age of 18 years old, the winner will get 2 (two) glasses of Prosecco instead of a bottle and his/her guest will be offered a free cold soft drink or hot drink as a replacement of the Prosecco. 11. Any additional items ordered will be added to the bill and will be payable by the customer at the end of their visit. 13. All sit in visit's bill will include an optional 12.5& service charge. He/she are not required to pay this but will need to inform their waiter so it can de off the bill. 14. Each competition draw is only for one free brunch and one free bottle of Prosecco. He/she will need to follow the above steps on the new week's competition for a chance to win it again. 15. Winner of the week's competition is contacted via direct message from the social media channel they've entered/win the competition. The winner will also be announced on our social media channels. This may include username and/or name of the winner. 16. The winner will have 48 hours to respond to the contact from The Black Penny with their acceptance information of the prize. The winner then will have 7 (seven) days to claim the prize they've won. If 48 hours of first response time or the seven days of claim period pass without successfully following each step, the prize will be expired, and The Black Penny will have the right to choose another winner by its discretion. 17. The winner of the competition will be chosen randomly by The Black Penny team. 18. This competition will run on a weekly basis until 22.02.2019 or until stopped by The Black Penny whichever comes first. 19. Winners will be able to choose between 34 Great Queen St, WC2B 5AA (Known as Covent Garden branch) or 55 Duke of York Square, SW3 4LY (Known as Sloane Square, Chelsea branch) to claim their winning prize. Please note time availability and menu may change between different stores. We are proud to announce that we are partnered with Buyagift to offer 2 all day brunch options to our guests. Who says breakfast/brunch should ever be limited to certain hours? Here at The Black Penny, we are offering The Black Penny classics until the kitchen closes plus you get to enjoy either a glass or a bottle of prosecco with your brunch. Simply visit buyagift.co.uk and search for The Black Penny. Here you can choose which option you would like to go for and purchase. Once you purchase your voucher, contact us with your voucher number and when you like to visit us, and we will be ready for your arrival. Please note, we do not take bookings as we have limited space but contacting us prior, we will ensure your voucher is validated and get you a table as soon as possible. You can find our offers from here. 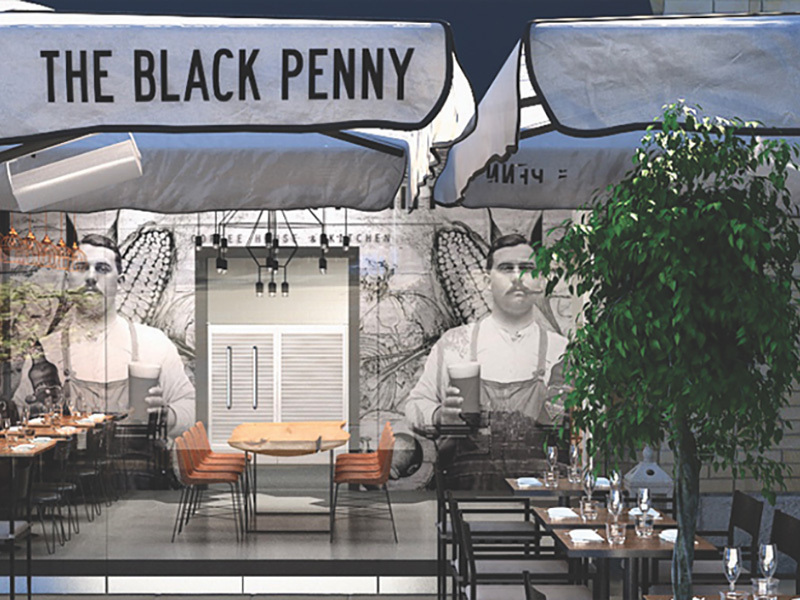 The Black Penny is coming to Duke of York Square, Chelsea. After 3 successful years in Great Queen Street, Covent Garden, The Black Penny now opened the second location at Duke of York Square. 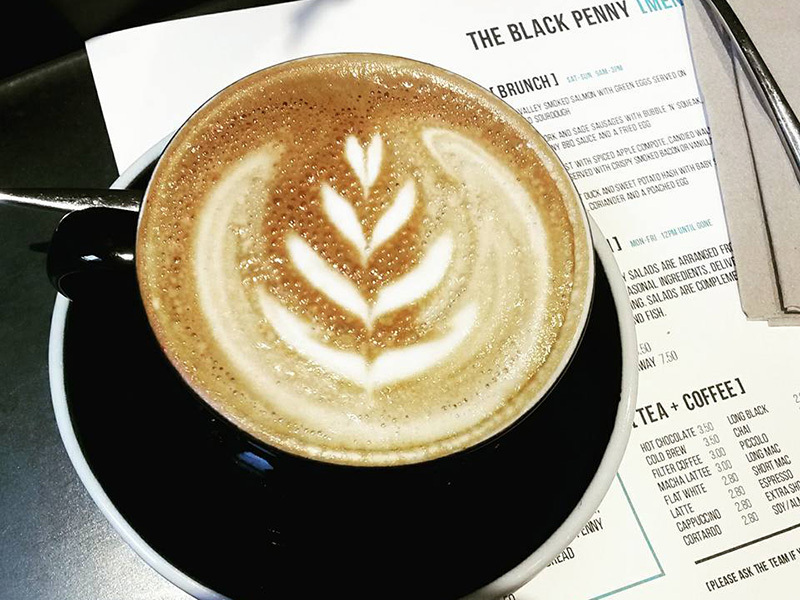 Located only a short walk from Sloane Square, The Black Penny – Sloane Square branch is bringing its unique coffee and breakfast/brunch classics to the Duke of York Square and surrounding areas. The Black Penny – Sloane Square is located at 55 Duke of York Square, Chelsea, London SW3 4LY We are also very excited to lunch our new evening bites menu with wide range of delicious cocktails and amazing wine menu. With both indoor and outdoor seating area as well as takeaway options, make sure to visit us at our new location to try our new additions to the menu. A taste of “The Black Mountain” at The Black Penny We’re excited to announce we have teamed up with Speyside Distillery, a boutique producer of luxury malt whiskies based in the Highlands, to serve Beinn Dubh, a brand new single malt ruby black whisky. A shot of this uniquely dark whiskey will be added to any coffee (at your request at the cost of 1p) between 10am and 12 noon, from Monday to Friday until the end of January. “Beinh Dubh” translates as “Black Mountain,” in homage to the whisky’s ruby black tone and the rich darkness of the Scottish highlands it hails from. Beinh Dubh complements both dark and light coffees; its deep fruits, currants and dark chocolate top notes blend delicately with the subtle fruit and deep cocoa flavours of our Alchemy Opus beans – while providing a lively contrast to the bright, fruity tang of the Alchemy Opus we use for milkier coffees such as lattes and flat whites. Who’d have thought a touch of the Scottish Highlands could warm you up in the morning? 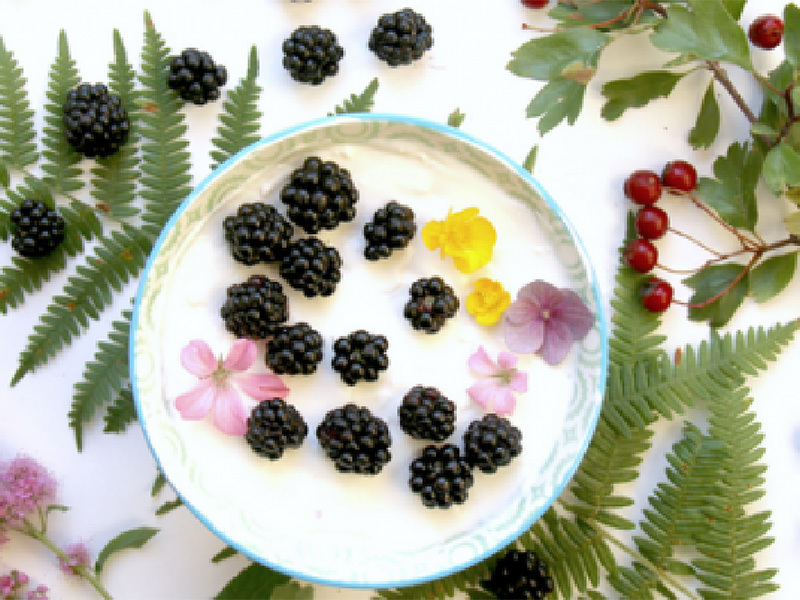 The next Black Penny seminar is one for all the foodie photographers out there… We’re teaming up with Coralie Grassin of Teatime In Wonderland fame, for a masterclass in taking pictures of your breakfast, lunch, dinner – and everything in between. Whether you’re a busy blogger with a wish to polish up your posts, or an enthusiastic instagrammer looking to add professionalism to online presence, this is the perfect opportunity to gain a new perspective on food photography. So grab your Canon (or camera phone) and get to snapping! Contact info@theblackpenny.com for tickets that cost just one penny.